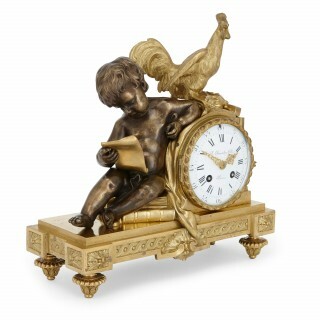 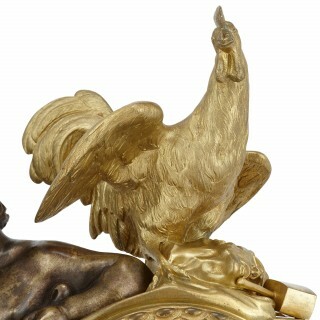 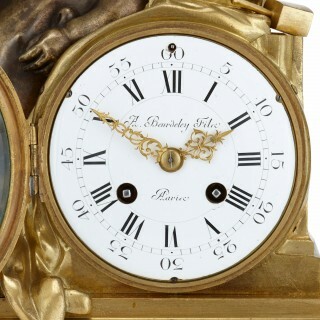 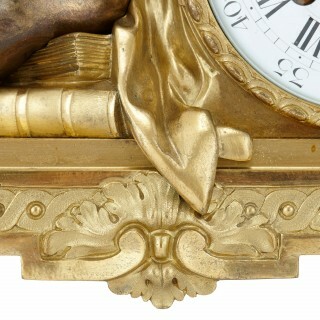 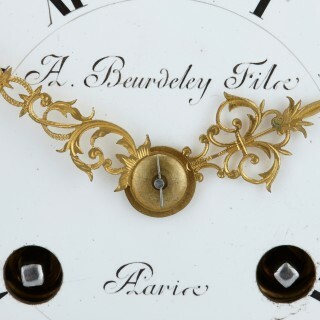 This stunning antique mantel clock was created by prestigious French maker Alfred Beurdeley (1847-1919). 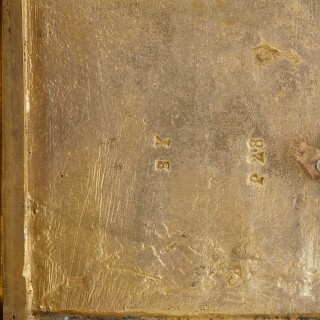 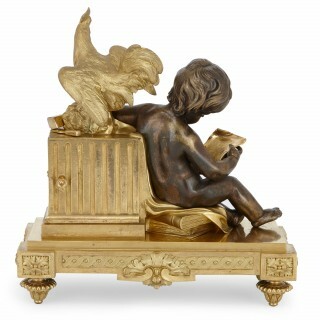 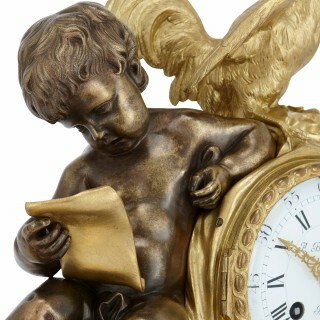 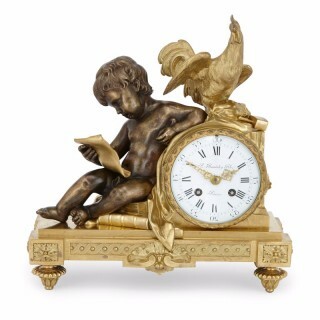 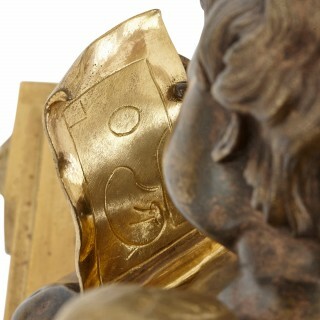 The work is modelled as a seated putto holding a paper, leaning against a pedestal fronted by an enamelled dial signed ‘A. 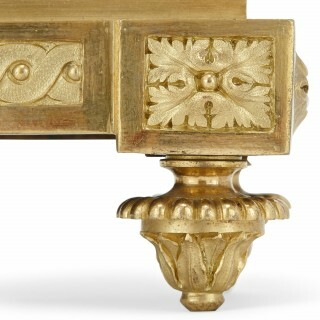 Beurdeley Fils / A Paris’, surmounted by a sculptors hammer, chisel and carved head on which stands a cockerel, raised on a plinth base with stiff leaf and gadrooned borders, on toupie feet, the inside of the back door stamped ‘B Y’.